This and this say it all really. And a clip from Friday night. A solo from Mr McCarthy, weary eyes. I’m conscious that I’ve mentioned this band rather a lot of late. We’d planned to see them twice, since this does seem to be the end of their road, but then Glasgow happened. And now there’s Liverpool on Monday. So, after Monday, I shall probably write about them one last time. This entry was posted in Music on 29/10/2016 by garymoore. I know, I’m getting on a bit and I probably shouldn’t do silly, rash things. But, last night’s conversation with an Augustine planted a seed. While, in the Drum and Monkey in Glasgow (we didn’t leave after MacSorley’s as planned) this afternoon, my second in command and I decided that we should go to Belfast. Unfortunately, just as we were about to call a cab to the airport, we realised that we didn’t have passports or photo ID. So we didn’t go through with it. So, lesson learnt; carry ID. If you don’t know Augustines, you won’t get it. This is your last chance to discover something pretty amazing. This entry was posted in Music on 28/10/2016 by garymoore. I have to say, I’m quite impressed with Messrs Marks and Spencer. While having left us many years ago, in body that is, they’re still producing cool things. For example, their ever growing range of gelatine (melted down bones and tissue) free sweets. But, this very evening, I have purchased a packet of their crisps. Salted, multi-coloured crisps. 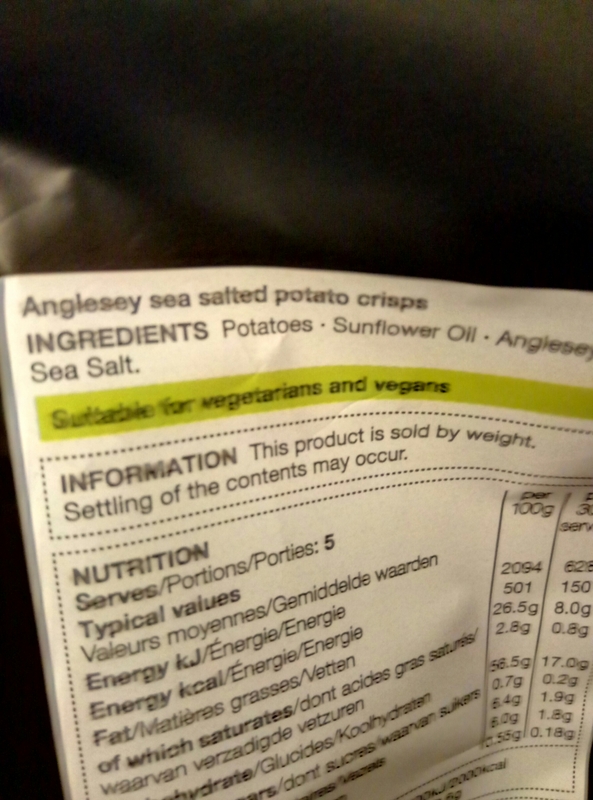 Naturally, one would assume that purple crisps would contain food colourants. And, perhaps, that chemicals are needed to prolong their shelf life. But, no, that’s not the case. 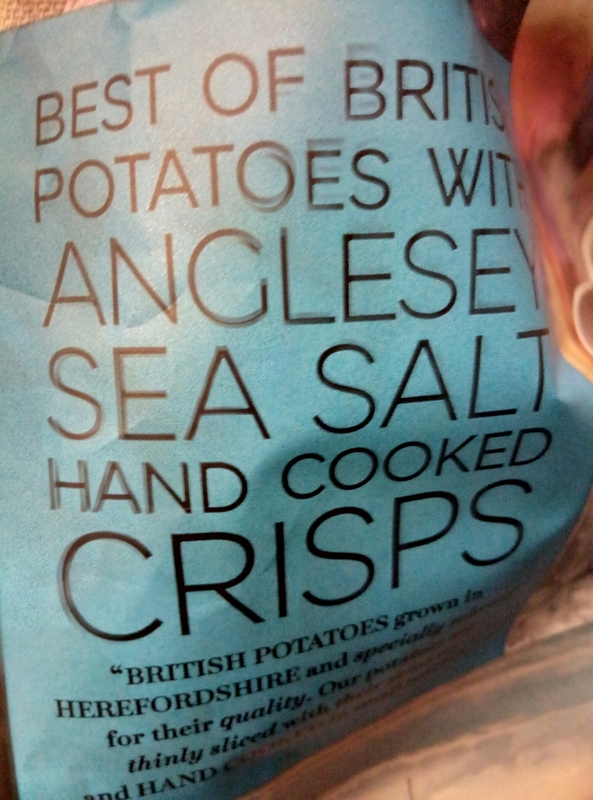 These crisps have only three ingredients. This entry was posted in Ethics, Food on 28/10/2016 by garymoore. 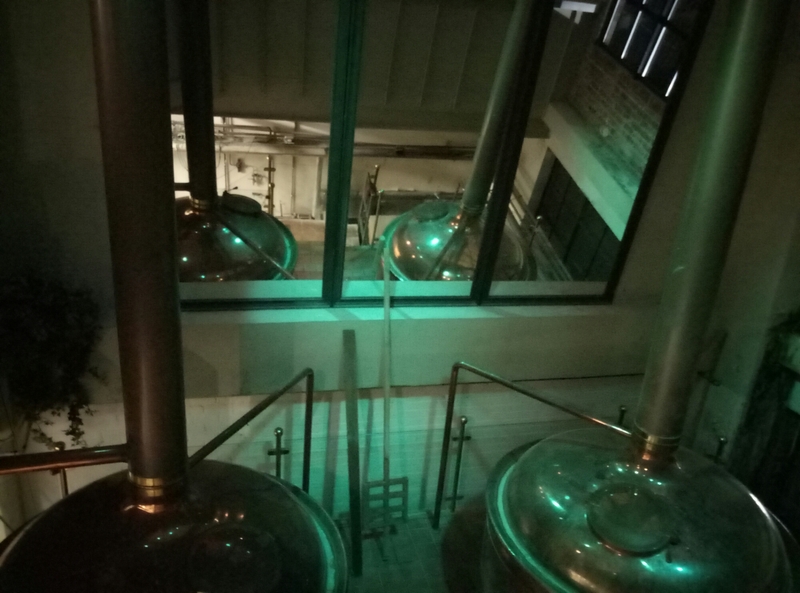 This entry was posted in Beer on 28/10/2016 by garymoore. Ok, so maybe we’re now in the 13th Note rather than on a train. The second pint of stout in Mono persuaded me that I needed a falafel burger. And a pint of West’s St Mungo. MacSorley’s next I think. Then perhaps a train. 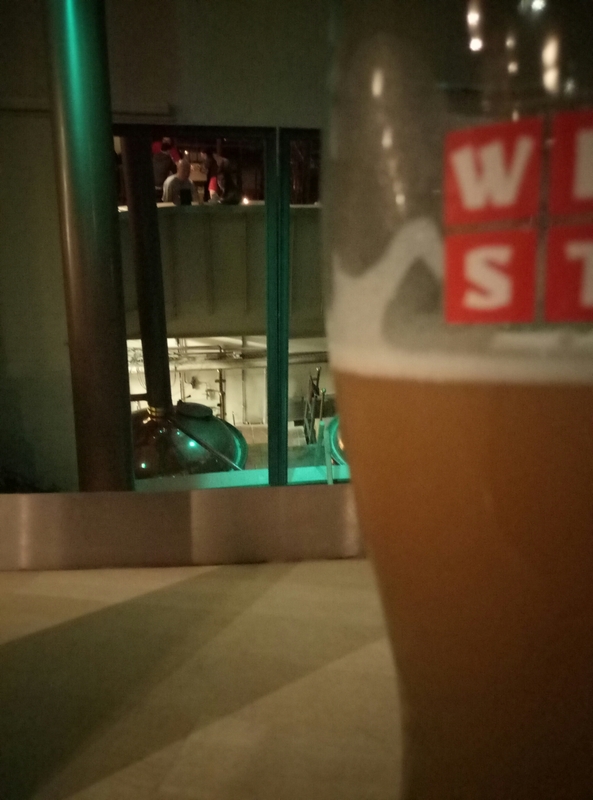 This entry was posted in Beer, Food, Pubs, Vegetarian/Vegan on 28/10/2016 by garymoore. 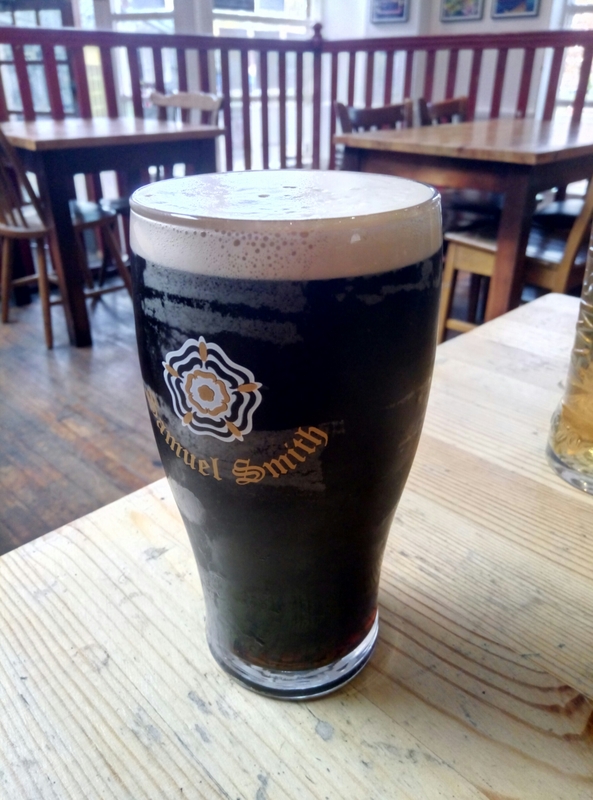 Having a pint of Sam Smith’s stout in Mono. The bar where my second in command went from smiles to tears in a few seconds, just a month ago. When she read that Augustines were to split up after this tour. We’re heading to the station after this beer, going to have a few hours in Edinburgh before the train home. Reflecting on last night, Glasgow must surely be the city of brotherly love. We met some lovely people in a lovely old church. This entry was posted in Beer, Music, People on 28/10/2016 by garymoore. Struggling for words. Blown away. Gutted. This entry was posted in Music on 27/10/2016 by garymoore. My second in command and I are currently resting in West bar/restaurant/brewery. One of us is drinking coffee because we (she) want(s) to (stay awake) appreciate the band tonight. 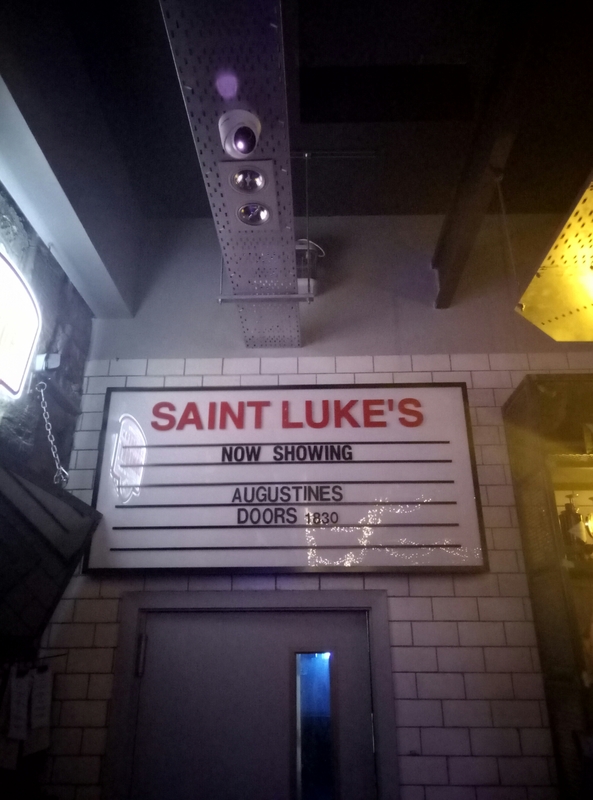 Apparently, St Lukes is only a short walk from here, so there’s no need to rush. They don’t use fish here you know, German purity law in Scotland. Genius. This entry was posted in Beer, Music on 27/10/2016 by garymoore. 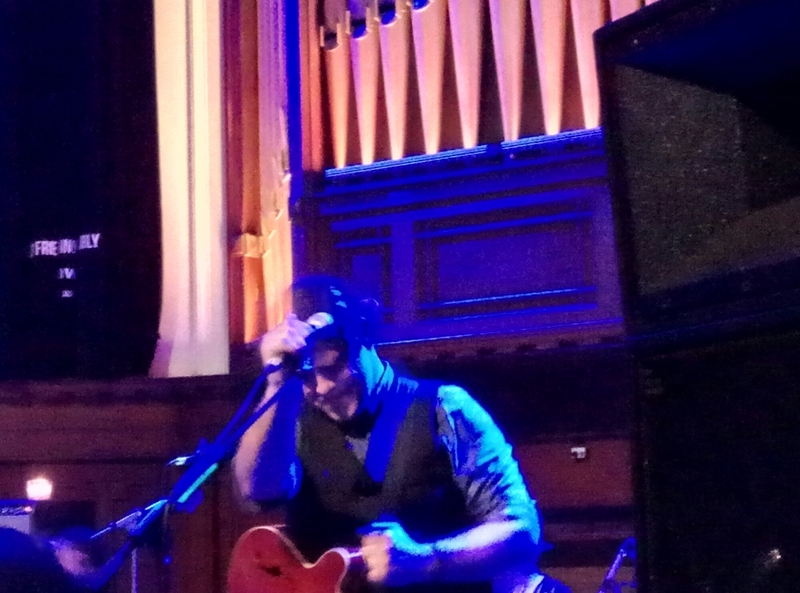 The end of Augustines. At least for my second and command and I. There’s a gig in Belfast, then a final one in Liverpool, but we’ll not be there. It’s quite an emotional time for my second in command; she’s been addicted to their music for some time now. And, so, we’re seeing them this very evening in Glasgow, my favourite city. We’re currently in the 13th Note, which happens to be my favourite bar. A bar that serves the most delicious falafel burgers. My second in command lost her (most expensive ever) Brewdog hat this afternion. In the Horseshoe Bar, she believed. But it’s not there. 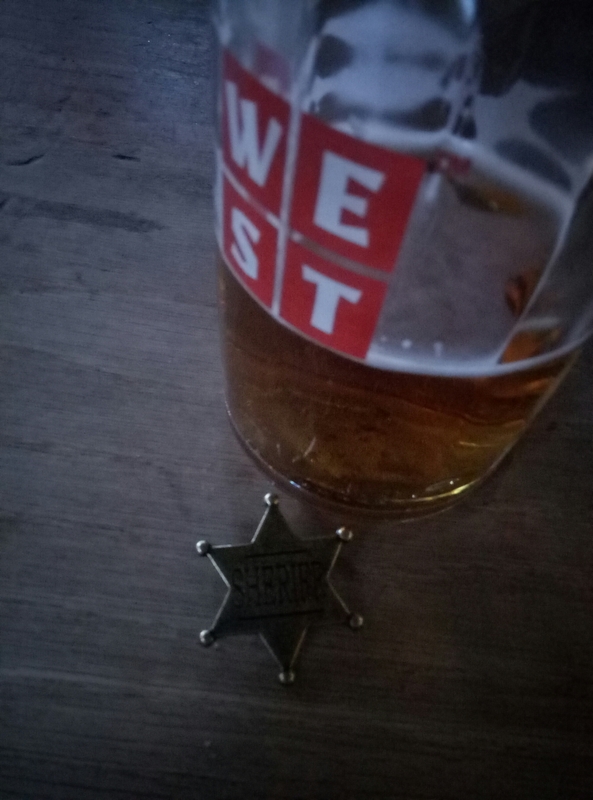 It’s possibly a day for lost things; Augustines, my second in command’s Brewdog hat and, technically not lost today, but purchased across the road to this very bar a few weeks ago, before being mislaid the next day, sheriff’s badge. One of the above has now been replaced. 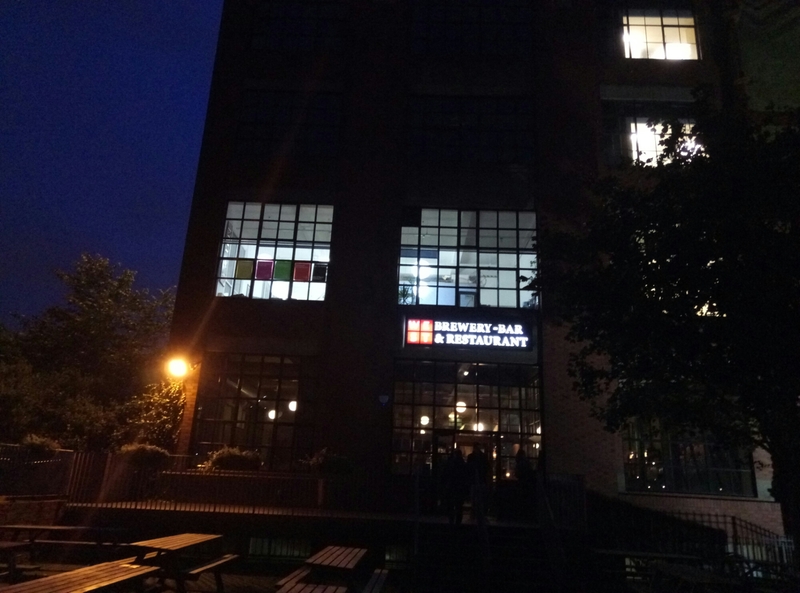 This entry was posted in Beer, Disaster, Music, Out and about, Pubs, Vegetarian/Vegan on 27/10/2016 by garymoore. … like your hollow heart is hanging in the wind. Your black lungs can’t breathe. I share my second in command’s distress that Augustines are calling it a day. And I should stress that she’s extremely distressed. Come on lads, don’t leave it there, you’ve a massive following. You’re milimetres away from making it. You’re lovely people who understand engagement. 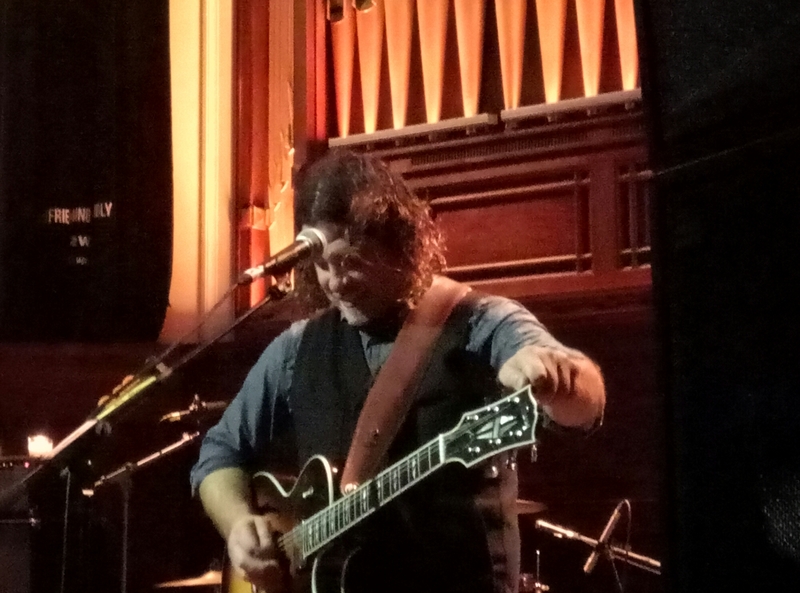 You bother to talk to people; Rob in Newcastle years ago at the Riverside, then Mr McCarthy on his solo tour – you hugged my second in command (at the Cluny) who’d walked 17 miles on crutches, with a broken leg, to see you. And, now, we’ve seen you play in Sheffield a couple of days ago. 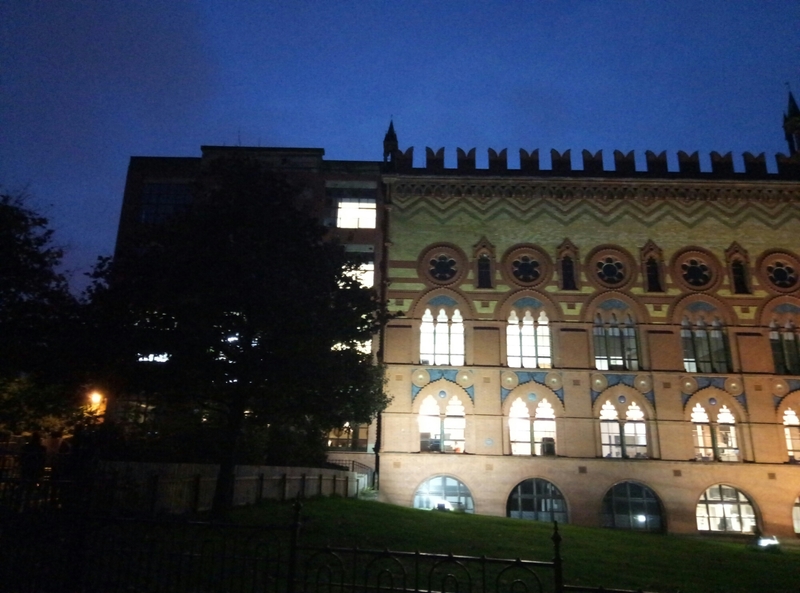 Then, last night at home in Newcastle. We were at the front, we drank little beer because we didn’t want to leave to pee. And, remember Louis Theroux? He’s in a band, plays guitar. That’s not his real name, of course, but he loves you. I’m sure his band, who are pretty damn good, would tour for free. Anyway, please don’t call it a day. Move to the UK, it’s the best place to get a solid fan base (you’re half way there). Just think, you’ve nothing to lose but your head(s). This entry was posted in Music on 25/10/2016 by garymoore.